Announcing the World Premiere of Gerald’s new album “30″, released on May 18, 2018! This self-produced anniversary project is a reflection of some of Albright’s favorite music that he has written over the past three decades! All of the songs are action-packed with new and unique arrangements, spear-headed by Albright, Chris “Big Dog” Davis, and James “JRob” Roberson. 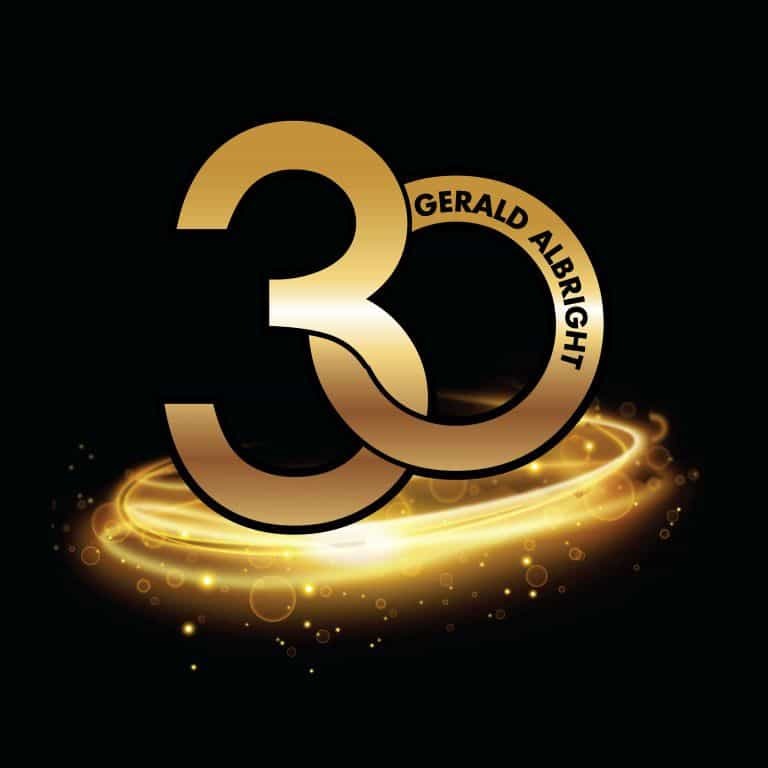 This CD will prove to be one of Gerald Albright’s finest efforts to date. Albright is a Los Angeles, California native. For decades and through past solo CD’s, he has wowed us with the sultry yet high-octane funky sounds of his compositions. After 30 years at the top of his game as one of contemporary urban jazz’s core artists and sonic innovators, the eight-time Grammy nominee is letting loose like never before. “30” and all projects to follow will place a stamp on the Albright name as one to deliver nothing but the best. Albright gets right down to business, celebrating his fresh start of “30” with a new rendition of “Sooki Sooki”. He creates all the horn sections himself, texturing alto, tenor and baritone saxophones with the funkiness of an up and coming hit maker, James “JRob” Roberson on keyboards. Roberson’s off-the-chain talent on keyboards will also keep you jumping on “Chips and Salsa” and “4 On the Floor”. Chris “Big Dog” Davis (one of urban jazz’s top hit makers), creates an array of keyboard sounds on “Bermuda Nights”, “Road to Peace”, “New Beginnings”, “Come Back to Me”, “Boss of Nova” and “Just Between Us”, with Albright infusing a mixture of horns and other instruments. The emotional up-tempo ballad “Come Back to Me” features Albright’s daughter, Selina Albright – a solo artist in her own right – on background vocals. Another highlight of “30” would be a bonus track, “4 On the Floor” featuring the dynamic Ricky Watford on guitar. Albright says that the big, multi-faceted sound of the album, particularly his use of multiple flutes, is a throwback to the way he came up in music. Because Albright’s musical muse has taken him to so many fascinating locales along the contemporary R&B/urban jazz spectrum, he’s joyfully defied easy categorizations.